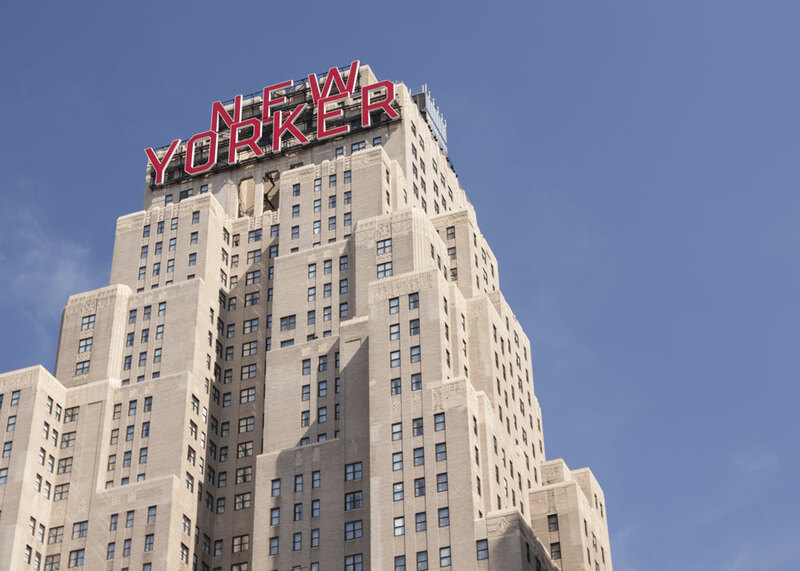 Since its conception in 1930, The New Yorker Hotel has gained some impressive notoriety. But there’s still plenty left to uncover. Here are five facts that make our hotel one of the most unique in all of New York City. 1. Prior to 1950, rooms flaunted marble-and-brass Art-Deco style detailing and 26 murals in the ballroom, foyer, and mezzanine by artist Louis Jambor. 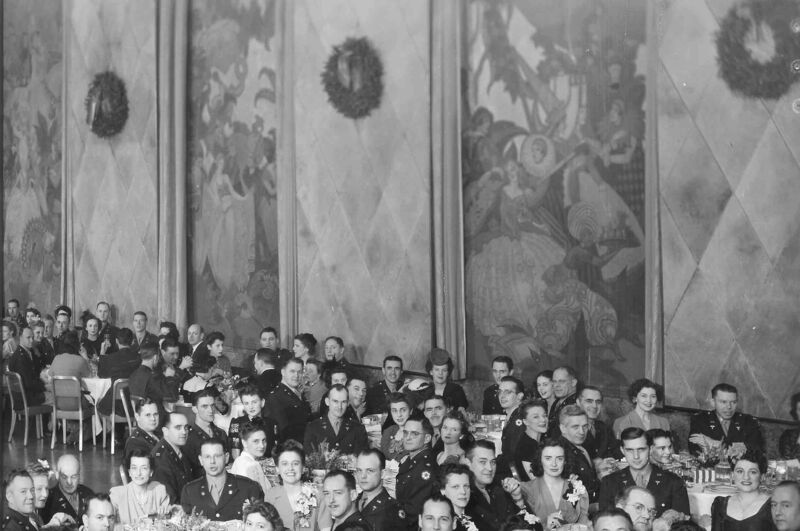 Although gone today, many of the murals can be seen in the background of black-and-white photos taken in the ‘30s and ‘40s. 2. A print shop used to reside on the 41st floor, printing hundreds of items per day, including The New Yorker Hotel’s restaurant menus, programs for events such as big-band performances, pamphlets, greeting cards, and more. 3. The Terrace Room was one of the hotel’s restaurants and premier places to be for entertainment in New York City. It used to house an ice rink constructed in sections of refrigerated flooring that retracted and stacked beneath the band stand at the north end of the room. Musicians from all around the world would perform with the backing of an orchestra as customers dined. 4. In 1930, the hotel not only boasted a radio in every guest room, but also a private radio station. 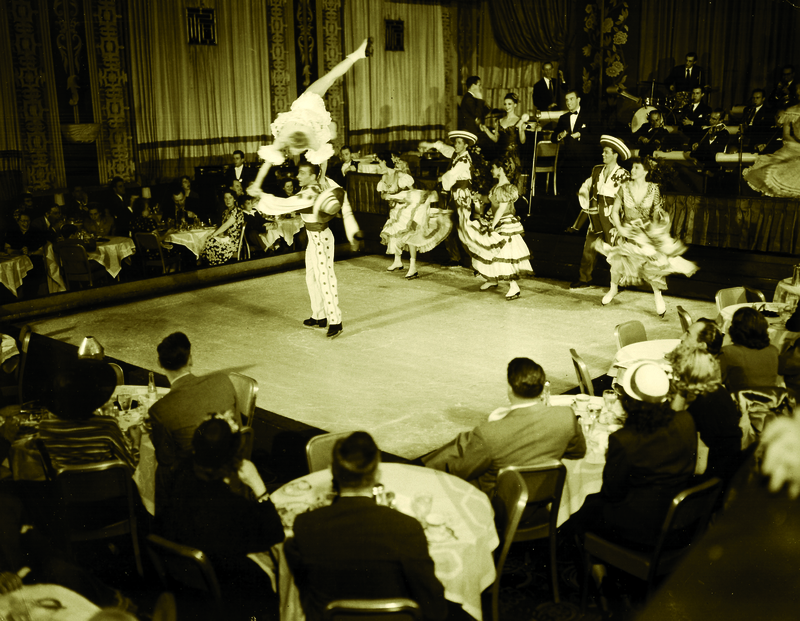 It broadcasted live big-band performances featured in the Terrace Room to all guests and all across America! If you visit the museum in the lower lobby, you can hear music from the Terrace Room performances playing as you explore the historical photos and original items of the hotel. 5. 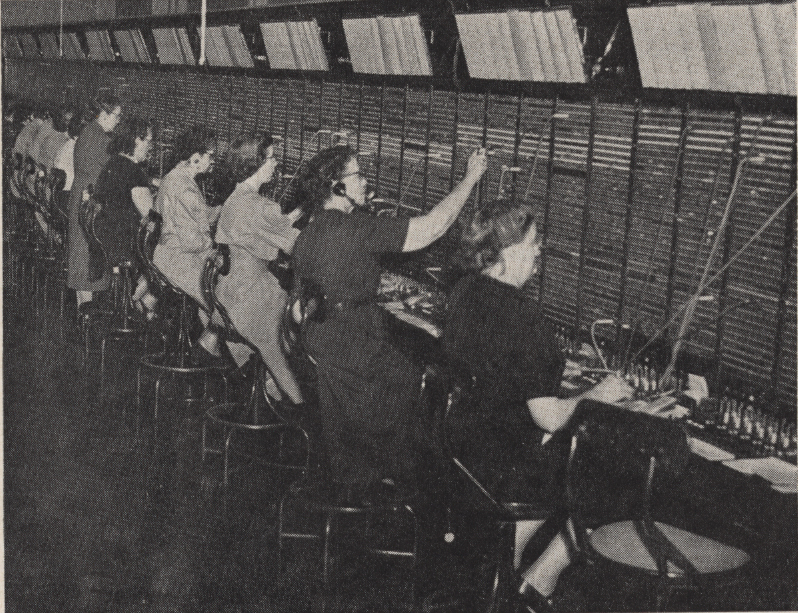 Before modern technology, ninety-five telephone operators handled ninety-one incoming trunk lines, thirty-eight outgoing trunk lines, and ten direct long-distance trunk lines in the huge telephone exchange on the 41st floor. The system included an impressive 3,200 phones.